Once again we had a really strong tail wind! Our coffee break was at Tim’s in Lloydminster. 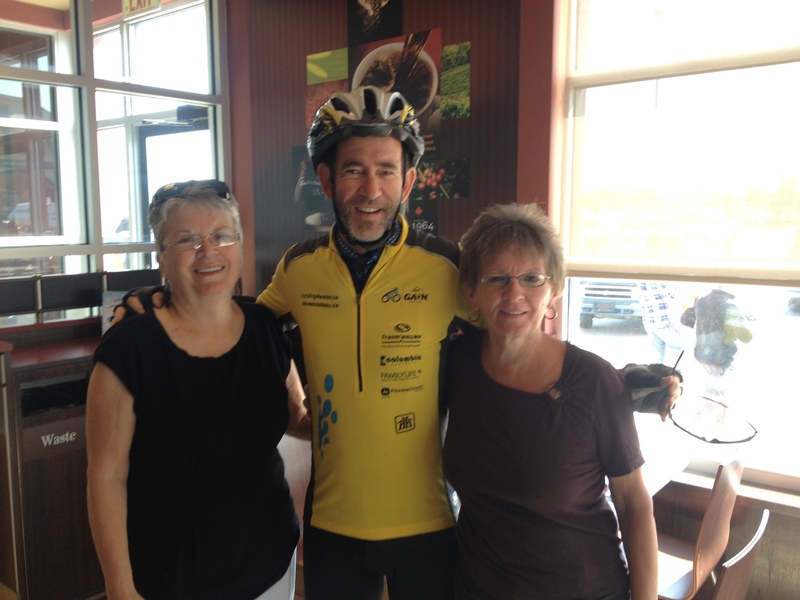 Two very sweet ladies gave us Tim’s gift cards when they heard what we were seeking to do. Thank you Vera and Lynda!! We will enjoy a few more coffee breaks on you. 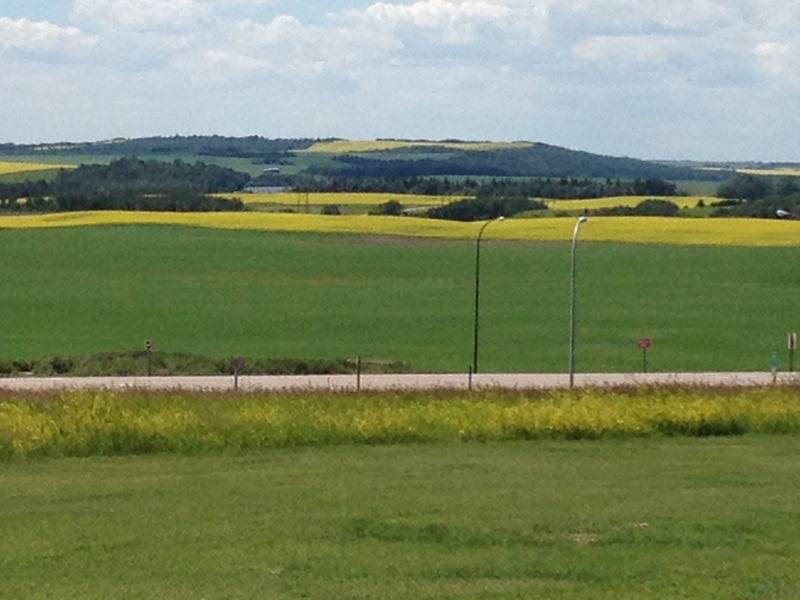 We crossed into Saskatchewan, our third province. Enjoying our Elevate Me bars! Check out the flags. It became clear we officially have reach the prairies. 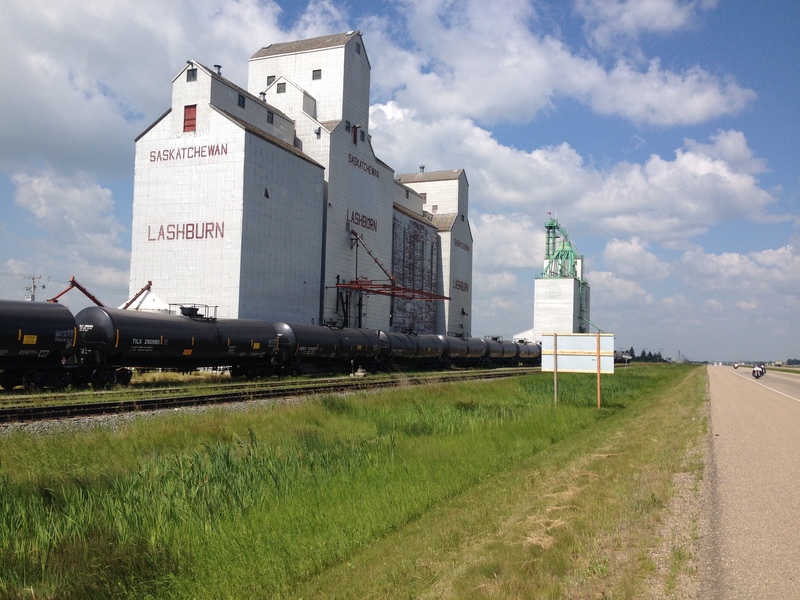 I love the “big sky” views, the beautiful hue of the fields of grain and classic grain elevators. Our average speed was 31 km per hour. 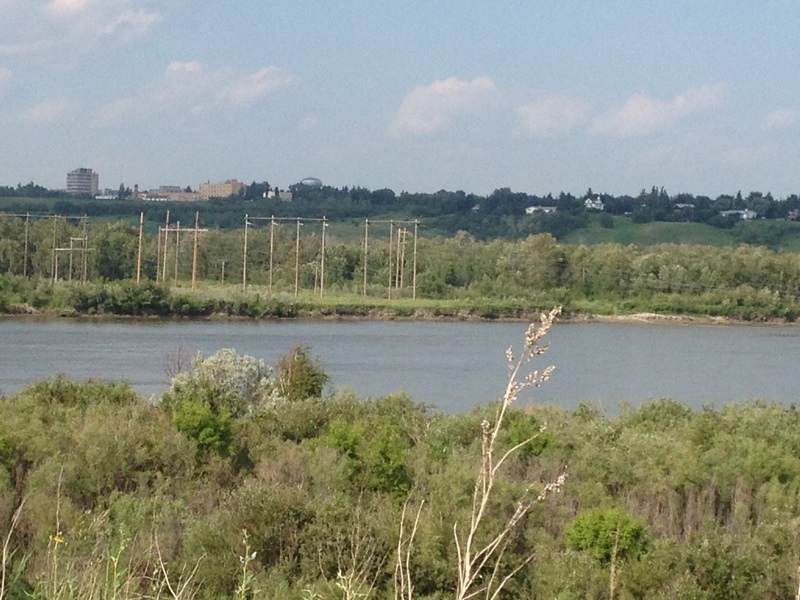 The last significant view of the day was the North Saskatchewan River just before North Battleford. Tonight we have a free evening, the first since we hit the road on July 1. What an amazing adventure you are having!! I talked to Karen tonight to find out if you were blogging. I think I read them all. Wonderful picture. Lots of sun and blue sky. I think I am remembering to pray for you every day. sounds like you are meeting some amazing people. The donation that I said I would do has been sent for the wells.